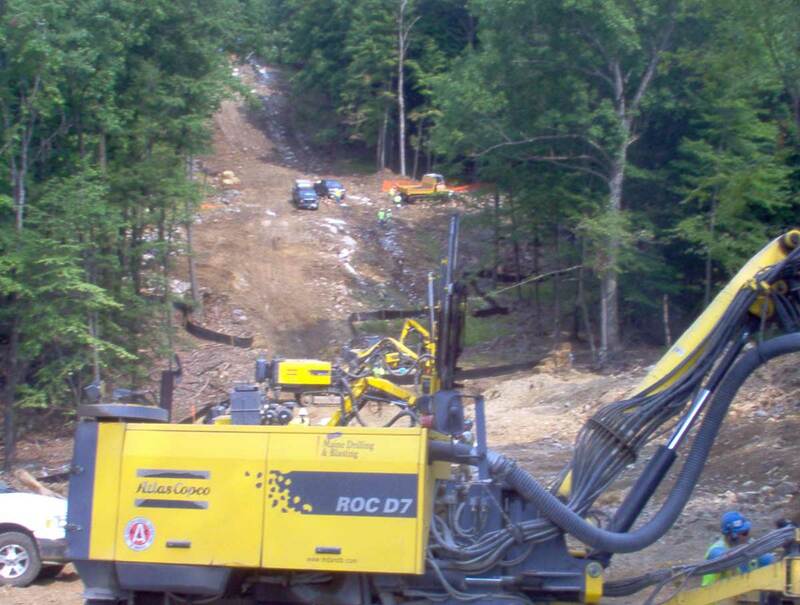 12 miles of 36-inch gas line was installed by Precision Pipeline with MD Drilling & Blasting performing all blasting. The work connected Tuxedo, NY to Ramapo, NY. This is very rugged terrain near I-87 through the hills just below the Catskill Area. Many areas needed to be preblasted above the trench to allow access for construction traffic. The ROW width and environmental constraints were significant. Many times we worked inside the pipe-laying crew so we had no access by them back to the road. Material planning for a productive day was essential. The pipe contractor needed 1,000 running feet per day. It was ready for them, while we adhered to the environmental constraints as well as traffic requirements along the busy interstate highway. 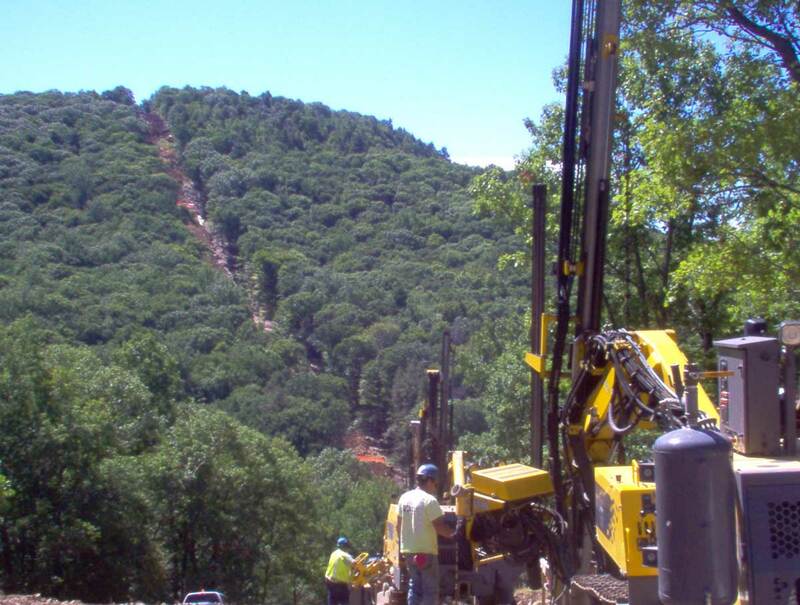 We needed from one to eight drills with appropriate blasting crews to meet the productions. Our Project Superintendent had access to whatever he needed to keep up. 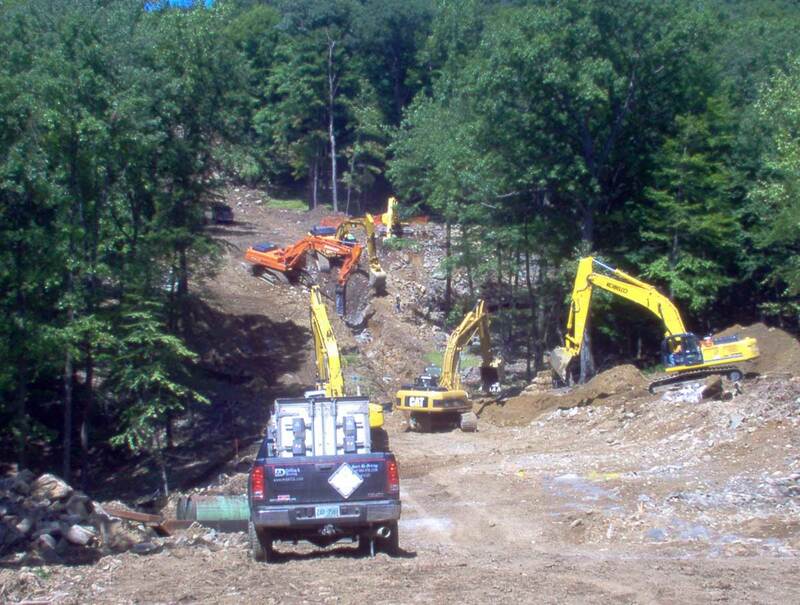 The month of April saw nothing but improvements for the Haverstraw Quarry regarding drilling and blasting. We are continuing to develop our ramp and our permanent sump hole. This development is also in combination with two other small faces alternating in production rock for the quarry. 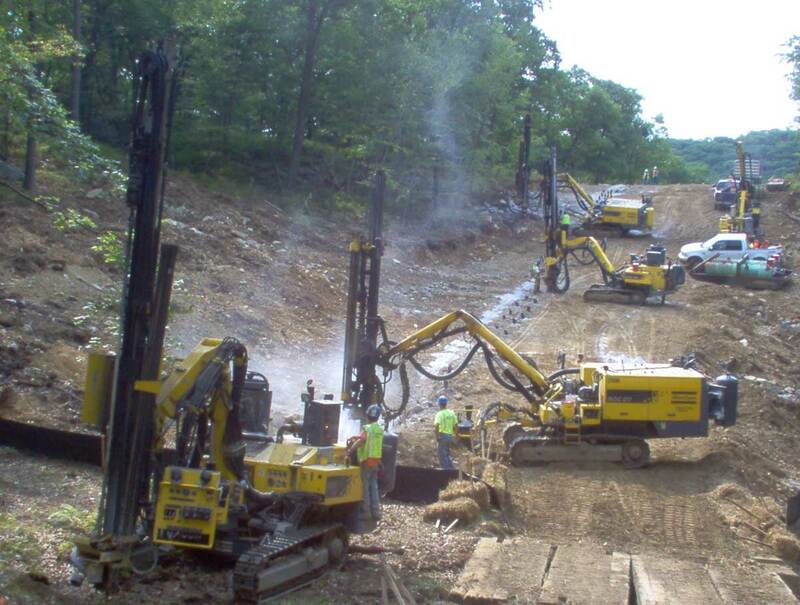 Maine was integral in creating one of the new faces, as well as providing insight to the progress of the sump hole.A few issues came up regarding calculations on shot reports and the team (Haverstraw Quarry Personnel and Maine Drilling & Blasting) was able to meet, present the facts and come up with a resolution to the problem. This open communication and attention to detail is the basic concept driving the current and continued success at the Haverstraw Quarry.All in all, the experience level is high and the communication lines are wide open here at Haverstraw. The team, as a whole, has the every day is for learning approach which is our key component to getting great rock. We have seen major improvements over the la"